COMPackage Total Compensation Statements : Allows companies of all sizes to easily, securely and affordably generate total salary reports to show employees their total compensation. Katz Leidman Grossman Wolfe & Freund : Workers' compensation attorneys helping injured workers throughout New York City, Brooklyn, Bronx, and Queens. 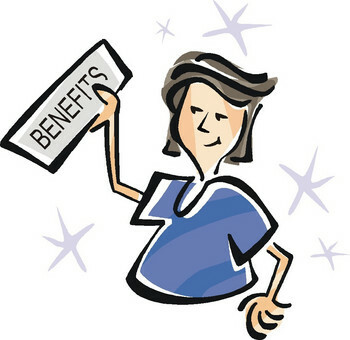 Benefits Consulting : Provides retirement plans, 401(k), pension, profit sharing, 412(i) and cafeteria plans for employers. CDG Worldwide : Global consulting firm specializing in the strategic design and management of executive and employee compensation, benefits and human resource programs. Employee Benefit Research Institute : Organization committed to original public policy research and education on economic security and employee benefits. Ictcw.com : Compensation information services for salary survey analysis from Clayton Wallis. Insperity : Organization serving as a full-service human resources department for small and medium-sized businesses throughout the United States. Pensions & Annuities : Information and advice on pensions and annuities from UK based independent financial adviser. Pensions Authority : Regulate occupational pension schemes and personal retirement savings accounts, as a part of statutory role to monitor and supervise operation of the pensions act. Redmatch : Leading provider of recruiting systems containing the unique Redmatch matching technology. Salary Expert : Providing the most accurate and up-to-date compensation information. WorkersCompensation.com : Provides workers compensation information, news, facts and contact information for employees, employers, insurers and medical providers. World Salaries : International comparison of average salary for various jobs and personal income and expenditure.